Elephant Room Gallery is excited to be working with their South Loop neighbors on an exhibition opening September 23rd. “PTO” – Personal Time Off is a collection of artwork created off the clock by the employees of Artist & Craftsman Supply. Artists to be exhibiting include Zelda Galewsky, Kenn Gauvin, Oscar Contreras, Katie Quade and Erik Lundquist. The exhibition includes a wide variety of mediums and styles by these working Chicago-based artists. Zelda Galewsky is an illustrator and printmaker in Chicago. She was born in London and since then has lived in Urbana, Il before moving to Chicago. She dabbles in many different mediums, both traditional and unconventional. Kenn Gauvin is a Chicago artist originally based out of Providence, R.I. As a member of the noise rock unit, The White Mice, he has created costumes and theatrical props as well as album cover designs, paintings, illustrations and collages. Oscar Contreras is just another dingus Chicago cartoonist. He has a chihuahua. Gives no hecks. Katie Quade is an art maker living and working in Chicago. Originally from Michigan, she came to Chicago to study at Columbia College. She received her B.F.A. in 2011. 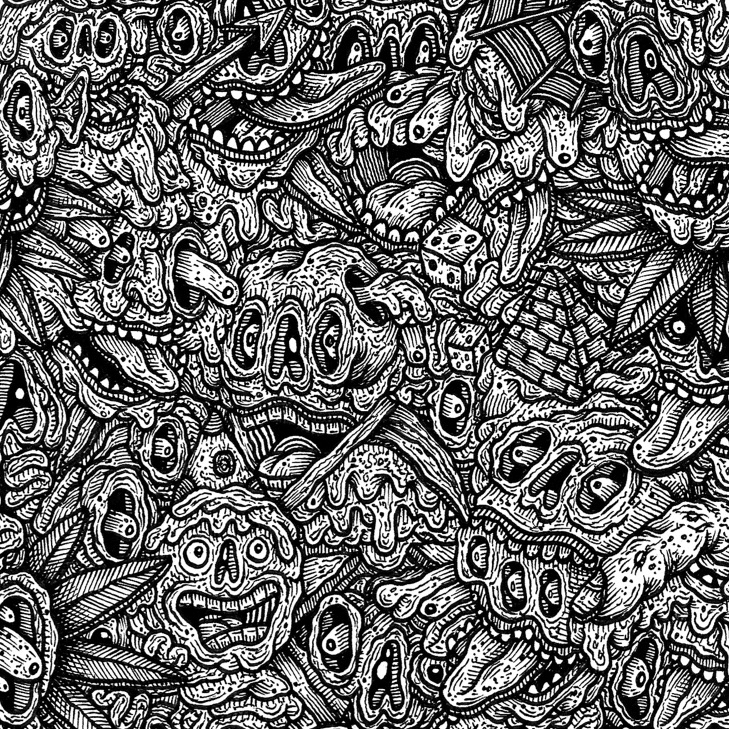 Erik Lundquist is an illustrator, painter and skateboarder living and working in Chicago’s Avondale neighborhood. Images of his works on paper, mural work and other projects can be found at www.ErikLundquistArt.com.